Women who think they may be pregnant dread false readings – whether positive or negative. A false reading on a home pregnancy test can result in a conflicted situation. Some women get their hopes up, anticipating a pregnancy that does not exist. Others continue about their daily lives, under the impression that they are not pregnant when they should be arranging a visit with their family doctor. Worse than a false reading on a home pregnancy test, is an accurate reading that cannot be made out due to a blurry or discolored screen, or a simple error made while taking the test. While pregnancy tests may not be considered an expensive item, they certainly are not deemed to be inexpensive either, especially if their purpose is not served. This disappointment can be avoided with the use of digital pregnancy tests, which are now widely available for purchase. Digital pregnancy tests provide the same accuracy as traditional tests tend to produce. However, a digital pregnancy test practically eliminates the possibility of misreading the test, by providing a clear result on a digital screen. Traditional pregnancy tests have been known to deliver a result that is unclear, hard to read or an odd color, but digital pregnancy tests provide a clearly written, ‘pregnant’ or ‘not pregnant’. This clear result eliminates any guesswork, as well as preventing disappointment, due to a false positive or negative reading. Home pregnancy tests are manufactured to detect the presence of the hCG hormone, Human Chorionic Gonadotropin, in a woman’s urine. This hormone enters the bloodstream as soon as six days after the egg is fertilized. The levels of hCG that can be detected increase at a rapid pace, which is why the possibility of a false positive decreases over time. Some home pregnancy tests are specifically manufactured for the purpose of detecting the hCG hormone up to a week sooner than their competitors, which is a valuable selling point for women who are eager to see their results. Some manufacturers of digital home pregnancy tests claim that their product can predict pregnancy with 99% accuracy, on the first day of a missed menstrual cycle. While it is possible to see an accurate result this early in the first trimester, it has been proven that most tests are inaccurate at this point in pregnancy. 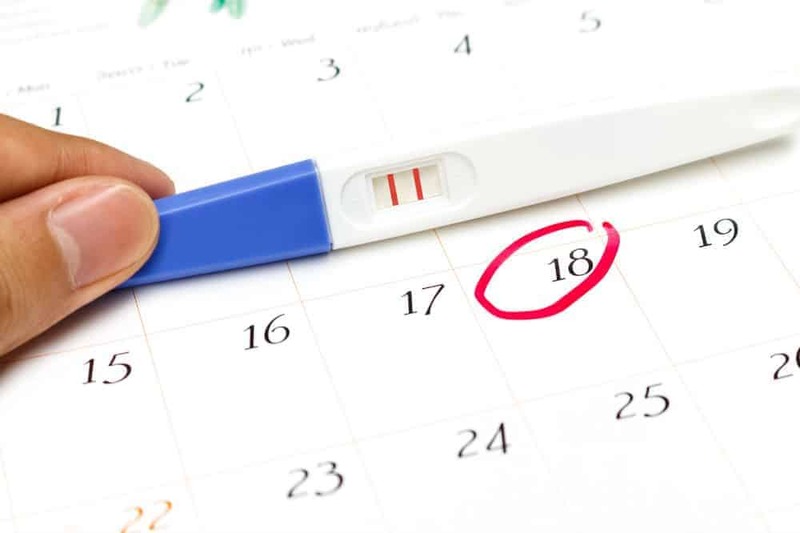 Because of the small amount of the hormone hCG in the body during the very early stages of pregnancy, it is recommended to wait at least a week after missing a menstrual cycle before taking a home pregnancy test. Women who test themselves too early in the pregnancy are more likely to receive a false reading. Women who are patient, and wait a few extra days, save time and money by obtaining an accurate result, the first time. When purchasing a digital home pregnancy test, consumers should look at some factors before making their ultimate purchasing decision. First, a budget should be established. Keep in mind that even the highest quality digital home pregnancy tests can be incorrectly used, or give a false reading. That said, inexpensive and generic brand home pregnancy tests claim to possess the same level of accuracy, so the cost of the home pregnancy test should be considered with other factors as well. Some digital home pregnancy tests come in packages of two or three, assuring women that the results that they receive are accurate, and saving them additional money, or time spent purchasing another test. Choosing between a generic brand, and that of a more well-known manufacturer requires that a woman weighs a number of factors, as well. Brand name digital pregnancy tests are usually more expensive than generic digital pregnancy tests. However, they often provide faster results, and some manufacturers guarantee results sooner as well. It is worth spending the extra money on a brand name if the factors are held to be important. Women who are not particularly concerned with time restraints, and just want an inexpensive but accurate result can opt to purchase a generic brand pregnancy test, and they are often satisfied with their purchase and results. Some home pregnancy tests will offer clear and straightforward instructions, which make accurate results more likely to see. Women who are comparing home pregnancy tests should take a look at the packaging, and ensure that they understand the instructions for use. If the instructions are not clear, it may be better to choose another product, or consult with a doctor or pharmacist who may be able to clear up any misunderstanding as to how the product is effectively used. Brand name manufacturers of home pregnancy tests offer some tests that can provide a faster or earlier result. For women who do not hold patience as their highest virtue, these brands may be the best purchase option. Additionally, some women require a confirmed result earlier than others for purposes to do with their individual health or the health of the fetus. Brand name, digital home pregnancy tests are often more expensive but can be found in multiple packs that save a few dollars. In choosing a home pregnancy test, determine the importance of taking more than one test, for peace of mind, as well as whether or not credibility is something that is held to be important. Many women prefer the peace of mind that they get from choosing to use a digital home pregnancy test over a traditional test. The best digital home pregnancy test for each woman will vary, however. Factors such as ease of use, cost, and brand should always be considered. When in doubt, or if health is a concern, women are well-advised to seek out the valuable advice of a medical doctor, or licensed midwife. Digital home pregnancy tests are commonly available for purchase in North America, both online and in most grocery and drug stores. Prices vary by features and brand, but most digital home pregnancy tests are easily affordable, provide peace of mind, and come highly recommended by previous customers.